Holy crap! 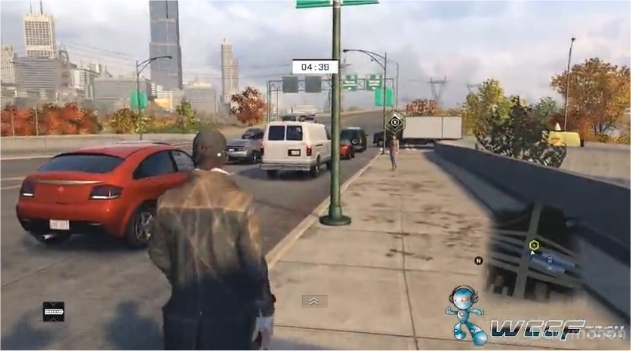 Watch Dogs just elevated itself to a whole new level of cool now that we get to see how the multiplayer works in a native environment. A bunch of websites, gamers and even Ubisoft, have been saying that WCCF Tech had up “false” or “fake” reviews, and the website has been receiving tons of heat for it. However, with the video live and flowing like lava from a pent up volcano, the only thing this does is make a lot of the naysayers look a little weak around the knees. The action starts off pretty tame; but the 23 minute video above does a fine job of ramping up the action as it moves along. Originally, Giant Bomb had mentioned that the multiplayer infiltration wasn't quite as seamless as Ubisoft had made it seem in their promo video for the multiplayer component, but hot dang does it look good in the video above. I know there's going to be all sorts of huffing, puffing, Dew-blowing and Dorito-crunching going on for everyone still trying to gird their loins to the embargos they signed their souls away to, but just from what I've seen, I can honestly say that the multiplayer looks like a ton of fun. Oh no, is that the kind of statement that would cast us out from the comforts of the Doritocracy? Making opinionated remarks about a game before the overlords deemed it okay to do so? Are we pariahs now? Ostracized from luxurious hotel parties and PR-sponsored get-togethers? Well, I guess we'll just have to settle for being neglected and disregarded, much like the Independent party in American politics. But getting away from the ridiculousness of signing away your rights for a bit of free developer pootang, I have to admit that the video above just looks so righteously awesome. It just keeps ramping up and – even though WCCF Tech complains of the repetitive nature of the online missions – a lot of it boils down to the interactivity between the two players; as far as the 1-on-1 hacking mode goes. At the eight minute mark, where the one guy is going ballistics to find out who is hacking him, I have to admit that it gets really intense. The setup and getaway is pretty slick, too. The video further proves that the multiplayer is very diverse. Just beyond the halfway mark we get a competitive challenge from someone using the mobile app, but it doesn't quite go so well. Instead, at around the 18 minute mark he gets invaded. What makes the invasion unique is that he's trying to complete a single-player mission while being invaded. So yes, so long as you're logged in online and have multiplayer enabled, it appears just about anyone can get in on your game. It's pretty slick and reminds me of a more tame and mellowed out version of APB: Reloaded. People can rag on WCCF Tech all they want, but you get a very thorough view of the game to determine whether or not this is something you'll want to invest your money in beforehand. They can't be faulted for that at all. Of course, if you like playing by the rules and getting a proctological exam whenever the finger police say so, then you can wait for the “official” reviews to launch on May 27th.